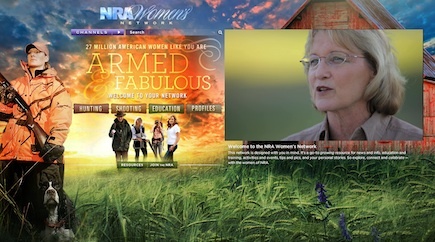 Last week, the National Rifle Association launched its new social media platform for women. The NRA Women’s Network is designed with you in mind. It’s a go-to growing resource for news and info, education and training, activities and events, tips and pics, and your personal stories. So explore, connect and celebrate — with the women of NRA. Visit the network today. Editor’s note: We were delighted to see our pal, Natalie Foster, from Girls Guide to Guns, and Kim Rhode, Olympic shotgunner, in a video at the website, explaining the function of the network. And of course, all the women are believable and honest. We especially appreciate Sandy Froman. Froman was the second woman to serve as president of the NRA. I’m very excited to hear about this! Thanks for keeping us up to date on what is going on in the world of women and shooting. Can’t wait to see what the NRA Women’s Network has in store!